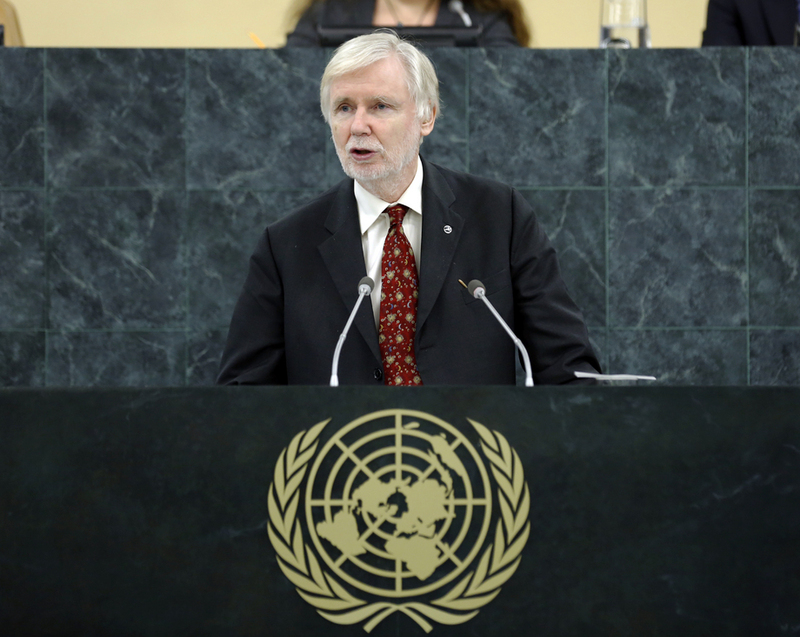 ERKKI TUOMIOJA, Minister for Foreign Affairs of Finland, said the General Assembly was convening at a time that posed enormous challenges to the authority and credibility of the United Nations, firstly because Member States were at a crossroads whereby they must decide how to attain sustainable development, and secondly because they faced the Organization’s failure to act on its core domain — maintaining international peace and security. Some 110,000 people had been killed and 2 million forced to leave their homes in Syria, where a tragic civil war had been going on for two years. The United Nations had been unable to end that appalling bloodshed, he said. “This is another major challenge to the credibility of the United Nations.” Elaborating on those challenges, he said that with a more than threefold increase in the world’s population since the Organization’s founding, and with unprecedented technological progress and ever-increasing exploitation of natural resources, the world had changed irrevocably. Alarming changes in climate underlined the urgent need to heed the limits of ecological sustainability, he said, calling for a comprehensive climate agreement by 2015. The consequences of climate change were already seen worldwide, and its impacts were predicted to intensify in the coming decades. Considerable progress had been made in reducing extreme poverty, but it could only be eradicated in the context of sustainable development, he said. Development must be ecologically, economically and socially sustainable, and firmly anchored in human rights and the values encapsulated in the Millennium Declaration. Peace and development were a precondition for sustainable development, and the post-2015 process must include a financing strategy, he said, explaining that financing must be based on mobilizing and managing national resources. Nations should mobilize their own resources through inclusive economic action and responsible international trade and investments, he added. Specifically on security challenges, he said the Syrian conflict had seriously undermined the Organization’s authority, and both the Syrian Government and the international community had failed to implement the responsibility to protect. The use of chemical weapons on 21 August could be a turning point for the conflict, amid universal condemnation of their use as a war crime for which those responsible must be brought to justice through referral to the International Criminal Court. Finland welcomed the agreement reached on the adoption of a strongly-worded Security Council resolution on collecting and destroying Syria’s chemical weapons under international supervision. All the international community’s failures and disappointments notwithstanding, however, there had also been one true success story for the United Nations this year: the Arms Trade Treaty adopted in April after decades of effort. The importance of that Treaty had been confirmed by the growing number of signatures after 3 June, when it had been opened for signature, he added, expressing hope that the signature of the United States would be followed by those of all the other permanent members of the Security Council.